Almost everyone who utilize Microsoft Outlook as their email management tool is most likely have already used PST files to backup and store their emails. 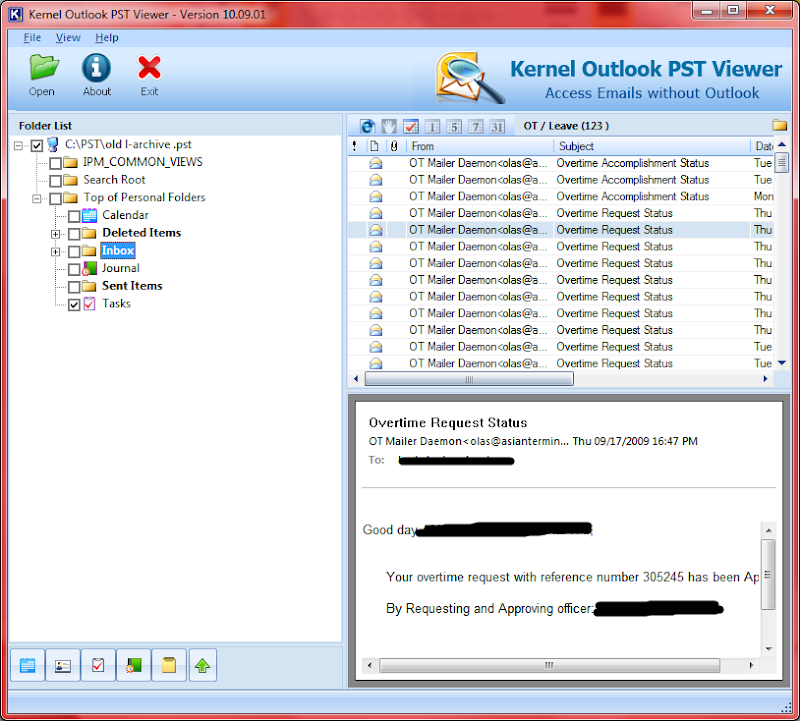 If your in situation where you need to open your PST file but there is no Outlook installed on the local computer, you need not worry because you can still open it by using a Free Kernel Outlook PST Viewer. Its usage is very simple, upon launching the application, it will ask for the PST file to open. Browse the file and hit OK to open the file. You can also search PST files by clicking Search button. 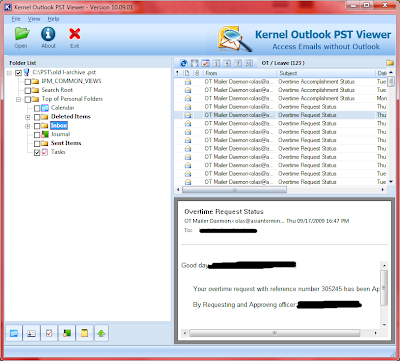 Kernel Outlook PST Viewer interface is similar to Outlook so familiarity with the software wouldn't be a problem. It works on Windows OS bases systems. I tested it under Windows 7 Ultimate Edition.